Armello has been around for a while now, having originally released on PC/PS4 in 2015, Xbox One in 2016, and iOS early this year. 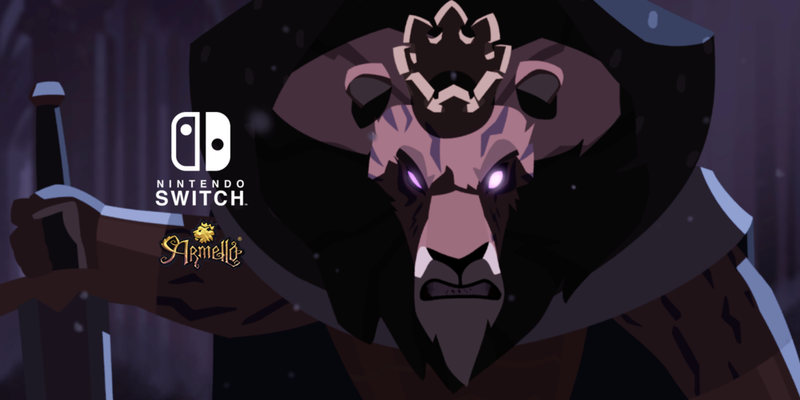 On September 27th, Armello released for Nintendo Switch. A beautiful mix of tactical strategy game, RPG levelling, card game mechanics, board game logic and dice luck, Armello tells the tale of the king of a mystical land who is corrupted by the Rot and four tribes who fight to rule the realm. Each clan (wolf, rabbit, rat, and bear) have different tactical advantages over each other as they fight to protect their homes and defeat the mad king. For Nintendo Switch, there are two options: purchasing the "Complete Edition" at $39.98 or getting the base edition at $19.99 and eventually purchasing the expansion at $19.99. While the Switch eShop states that you can get the complete bundle at a "huge discount," my calculator says $19.99 + $19.99 = $39.98, so unless there's a big sale coming release week I'm not sure I agree there. 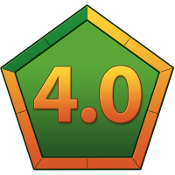 I was given the privelege of reviewing the base game, so all I can tell you about the expansion personally is that it adds twelve playable characters (still part of the original clans) new card, hero, and map skins, accessories, dice, and quests. Basically the expansion will add more of everything to the title which is great for anyone who becomes enamored by the world of Armello. As it is, unless there is a discount sale you might as well buy the base edition and get the expansion when things get repetitive. Armello sits in a sweet spot, looking like a traditionally animated Zootopia. There are animated cutscenes to introduce the game that are amazingly beautiful. Armello imagines a board game of the future with cards that animate and leap off the page, combat that dances around the screen, and bursts of color, light, and power at every possible instance. Prior to a game you pick a Hero from one of the clans. Your goal: to become King or Queen and end the current king's tyranny. This can be done one of several ways: overthrowing the King by brute force, finding mystical orbs that cleanse the King of evil, absorbing the evil yourself and becoming even more powerful than the King, or having the most Prestige when the King inevitably succumbs to the Rot and dies. Most games will end on the Prestige status, as the King has only so many turns to live and attempting a different victory could cost you the game, but it is thrilling to see someone go for one of the other three options. During the game, you draw cards which could be equipment to increase your overall statistics, spells to help you or hinder opponents, or perils to place on board spaces that challenge anyone who crosses them. Quests will appear on the board. You can choose the easy way out or a challenge that requires dice rolls and luck to overcome. Doing so will net you a bonus, be it a follower, new weaponry, or additional prestige. Having the most prestige at the end of a turn will land you in the King's favor, allowing you to decide what peril he places upon the land. Using this to your advantage can really hurt your opponents. You can battle your fellow players in combat, throwing dice for attack and defense on top of your base stats. All of this and more is introduced in a simple four-part prologue before the game opens up completely. Finding your best gameplay balance is essential to victory. Each clan has bonuses that give them advantages, such as more attack power or stealth during night (the game changes night to day during each play cycle). The right artifacts can give you a little more edge. Choosing cards from the right deck will help you boost your characters and move around the board to collect more prestige. The game benefits from being simple to pick up yet difficult to master. If you must you can power through brute forcing with your dice and cards, but you can also learn the strategy behind them and injure opponents from across the board, maybe even kill them. Each game of Armello is different with procedurally generated worlds and adventures. While you play a multiplayer board game it feels as if you are delving into RPG lite stories to help rescue villages from ruin or plunder tombs for treasures. If you can get a team together, this four player fest can be a wonderful addition to "board game night," locally or online. I feel as if Armello had a strange transition to the Nintendo Switch. I admit that this is my first interaction with the game, but I know that it has been on i-Devices and recently hit Android as well. Therefore, there is touchscreen capability. It is not present in handheld mode on the Switch. The tutorial tells you to open certain menus that are greyed and you can't easily see it or they physically tell you to drag a card that requires a button combination. Perhaps it would be for consistency between on- and off-screen modes, but I'd have loved the option to be there. Armello has a rich, deep lore and story that would make for a wonderful movie one day, but remember that at the end of the day this is a board game. It's intent is to be played through in an hour or so and winning results in a victory screen, not an epic epilogue. Armello does a wonderful job of adding flavor to the board game motif and making turns that aren't your own still fun to watch. If you need a taste test of the gameplay you can download the freemium app on a cell phone (mind you purchases are permanent and not traditional one-use fare) but know that the chunky, easy access buttons available on mobile won't be touchable on the Switch screen. Online will allow you to get a board game night together across the country but I know that I'll be adding this to the pile of potential games for the next time we invite a few friends over. Armello will add a classic fantasy and technological enhancement and provide a well-balanced game that doesn't drag on or outstay it's welcome. I'm glad to see Armello on the Switch, I just want it to take better advantage of the platform. Special thanks to League of Geeks for providing a code for the base game to review!